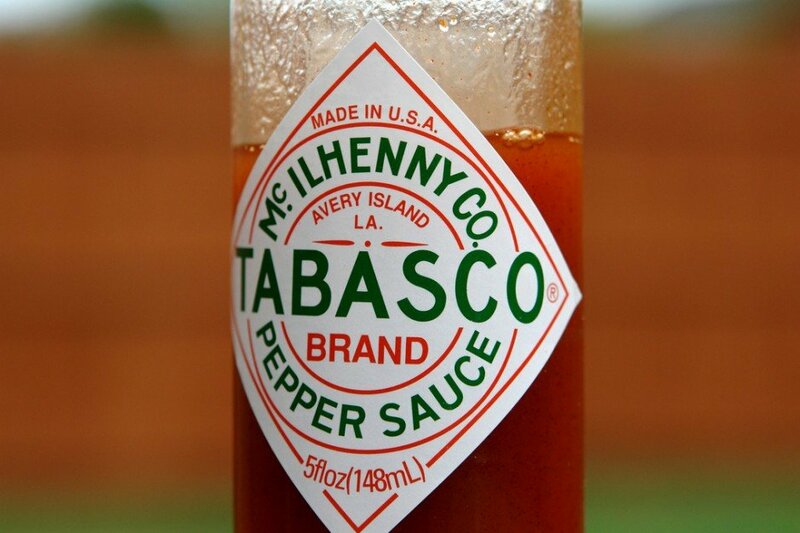 – The Tabasco brand has been the goto pepper sauce in millions of American homes for decades. Most of us recognize the distinctive diamond shaped label as clearly as the markings of a poisonous snake. With such a well established brand that seems to be included in most bloody Mary recipes, it seems a logical brand progression then for the company to create Tabasco Bloody Mary Mix. My regular readers know that I’m not a big fan of bloody Mary mixes. With the exception of Demitri’s bloody Mary seasonings, I’ve never given one my seal of approval. I keep an open mind though. Let’s face it, ready-made mixes are easy. They cost more than making a bloody Mary from scratch, but hey, we all get lazy at times. When I passed by the Tabasco bloody Mary mix at my favorite liquor store, I stopped. 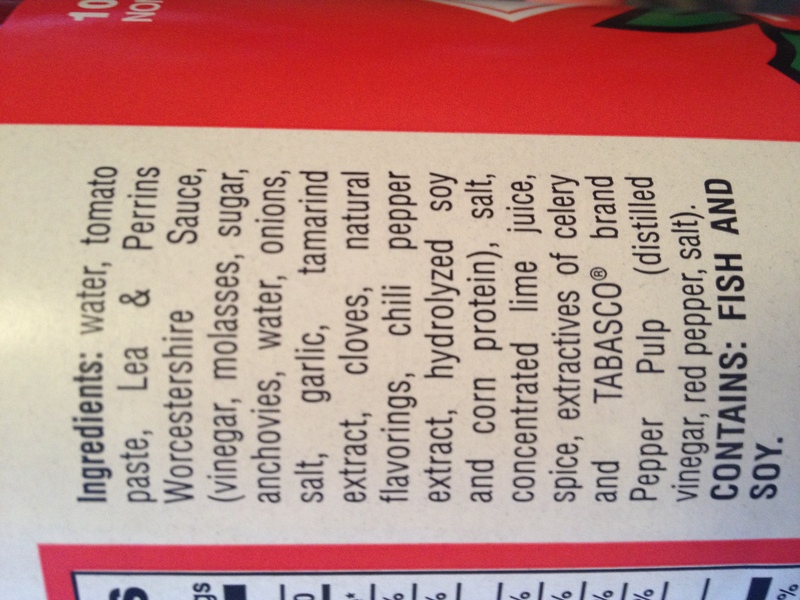 The first thing I look at in a bloody Mary mix is the ingredient list. Got it home, popped the top and took a whiff. Hmm, something familiar about the smell. It didn’t remind me of a bloody Mary- something else…I mixed it with ice and a little vodka and took a swig. What in the Hell? Now I know the familiar smell: Campbell’s tomato soup from a can. Balls! I’ve had better bloody’s in jail! Once it cleared the palette, I ran for a chaser. This product would be great for bars wanting to sell beer. Like sucking on a salty peanut, the sodium in this crap made my tongue feel like beef jerky. The beer tasted damn good! I grabbed the bottle and confirmed my feeling. This fricking cocktail held 58% of the sodium recommended for an entire day. Thanks alot Tabasco! 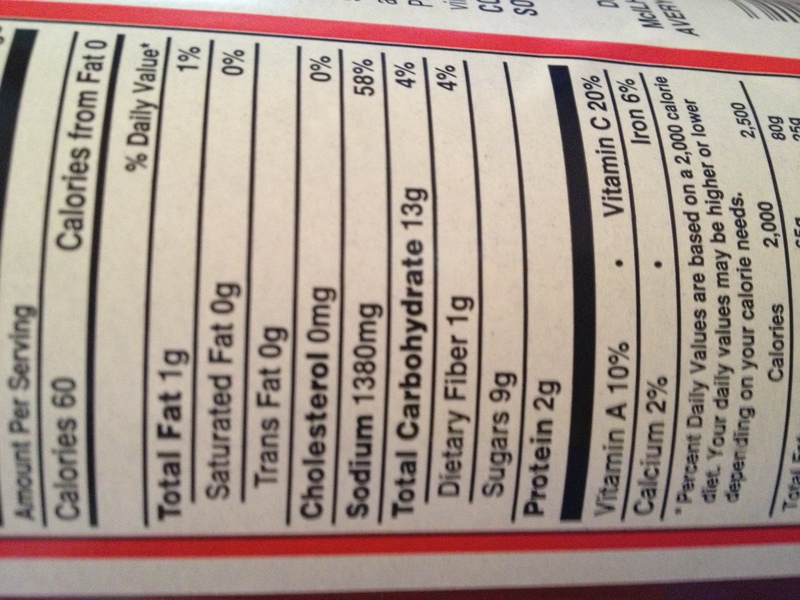 1380 milligrams. WHAM! The nice thing about this mix is that not only does it have enough salt to choke a horse and taste like canned soup, it also lacks any zip. That diamond shape that strikes fear into the heart of your aunt Florence has no place on this bottle. Where’s the spice? Instead of a nice little burn, this stuff leaves an oily salt feeling. Bummer. I think I’ll heat the remainder of the bottle on the stove, pour it into a bowl, and bust crackers over it. I’ll be sure to have a big glass of something to wash it down with.